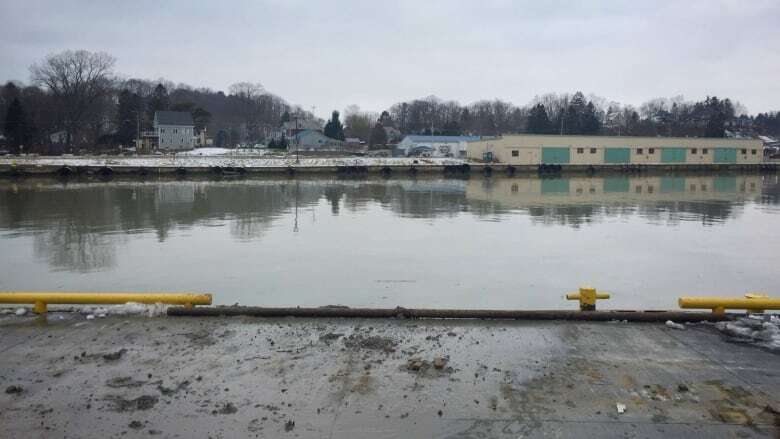 A forklift operator was rescued from the frigid waters of the Port Stanley, Ont. harbour with the help of a good Samaritan on Saturday, Dec. 8, 2018 after his truck drove off the dock. The Ministry of Labour is now investigating the incident. 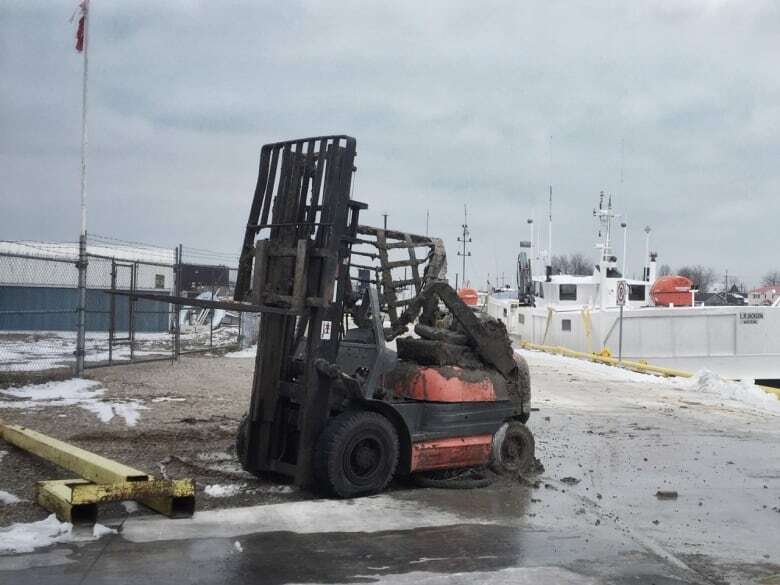 A forklift operator was rescued from the frigid waters of the Port Stanley, Ont. harbour with the help of a good Samaritan this weekend after his lift truck drove off the dock. Elgin County OPP, along with Central Elgin Fire and Elgin St. Thomas EMS, were called to the wharf near the end of Main Street in the small lakeshore community at around 11:30 a.m. Saturday. "Police received a call regarding a possible drowning," said Elgin OPP Const. Adam Crewdson. "It turns out it was a forklift going into the water." A passerby saw the forklift driver, who was strapped into the seat at the time, roll off the dock and plunge into the water. "He surfaced a short time after the forklift went into the water and someone walking by was able to help him get to the break wall by extending a dog leash," said Chris McDonough, director of fire rescue for Central Elgin. Emergency crews arrived on scene and helped pull the operator from the harbour. "He appeared to be hypothermic," said McDonough. The cold and wet driver was taken to hospital, but according to police he has been released without serious injuries. There is no word on what caused the industrial equipment to enter the water. The Ministry of Labour says the driver was working for a local fishing company when the incident happened. "It was reported that a worker suffered injuries while operating a forklift removing bags of fish from the shoreline when the forklift went into the water," said Janet Deline, a spokesperson for the Ministry of Labour. "An inspector from the Ministry of Labour was assigned and attended the scene." Deline says no orders have been issued by the ministry, but they continue to investigate. The company that owned the forklift was responsible for retrieving it from the water.